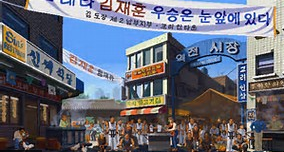 STORY: 10 years after crime lord Geese Howard's death, the city of Southtown has become more peaceful leading it to be known as the Second Southtown (having formerly been corrupted by Geese). 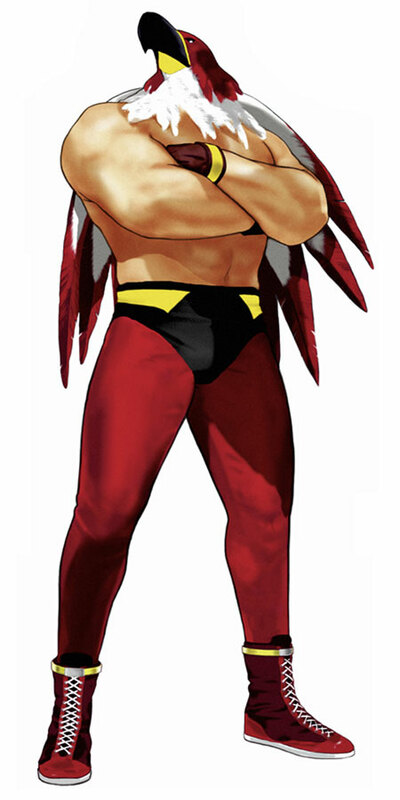 However, a man named Kain R. Heinlein wants to take revenge on Geese for the poverty-stricken childhood he suffered and aims to become the new lord of Southtown, more violent than Geese. 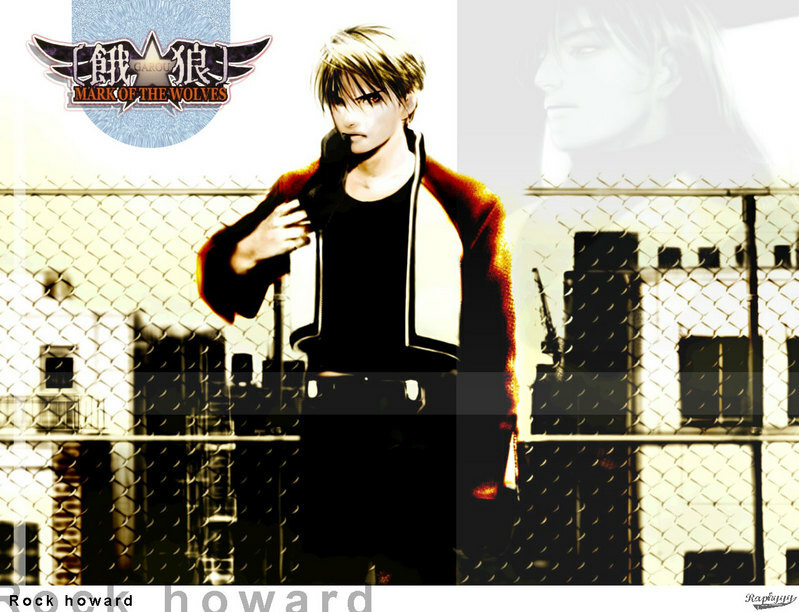 Wanting to find Geese's son, Rock Howard, and understand the meaning of his legacy, Kain creates a new fighting tournament called "King of Fighters: Maximum Mayhem". 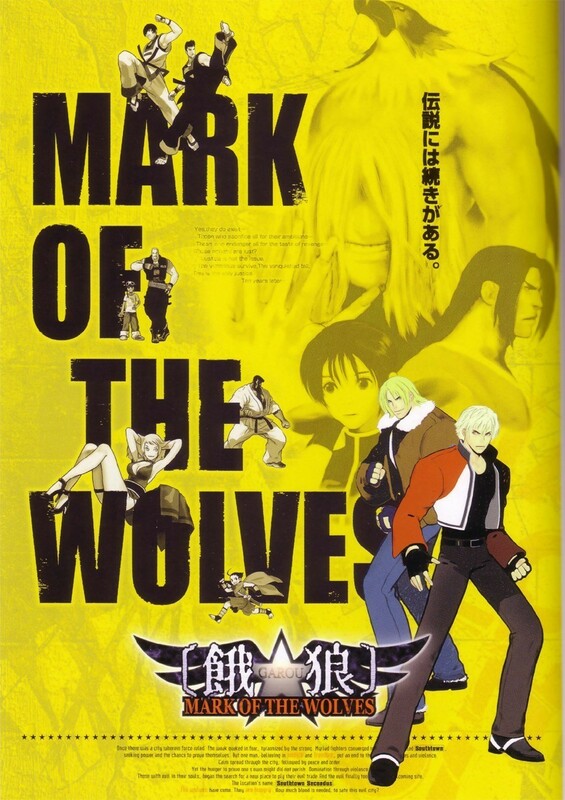 With the tournament and information about Rock's mother, Kain aims to make Rock join him in investigating Geese's legacy. 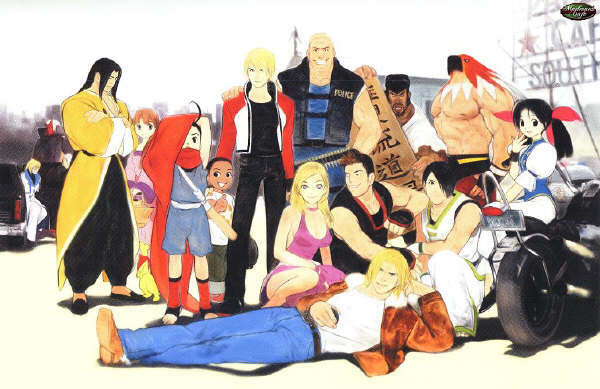 An entirely original cast... and Mr. Terry Bogard. 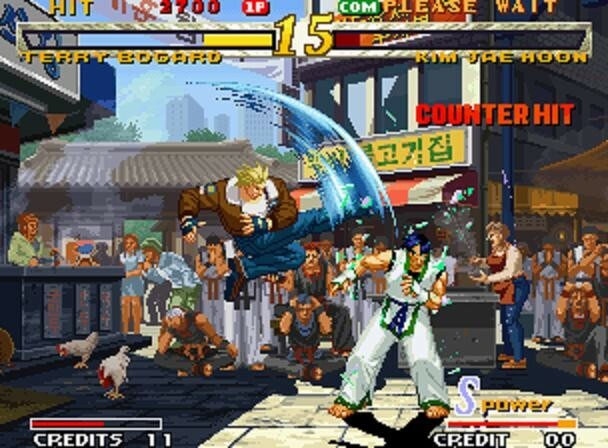 REVIEW: Considered to be "Fatal Fury 4", Garou: Mark of the Wolves is easily one of SNK's most polished and highly-acclaimed fighting games of all time. 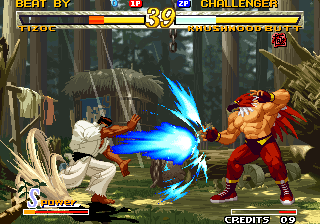 Clearly SNK's answer to Capcom's epic Street Fighter III series in the late 90's, Garou: Mark of the Wolves presented SNK's best 2D visuals to date and offered incredibly smooth gameplay to debut a roster of almost entirely new characters. 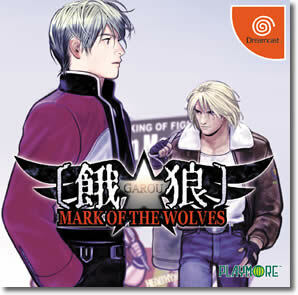 Not only does Mark of the Wolves maintain awesomely-fluid animation that rivals Capcom's SFIII (as well as SNK's own AOF3), but it also features some of SNK's deepest and most strategic 2D gameplay engines to date. Rock's BGM is undeniably one of the best ever. 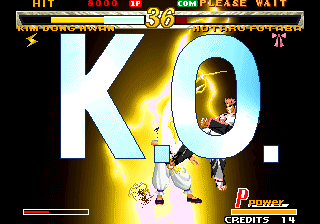 There's no question that Garou: Mark of the Wolves is hands down one of SNK's best-looking fighting games. 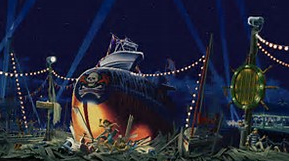 All stages are introduced with unique animated movies, complete with moody background sounds that define the setting before each fight. 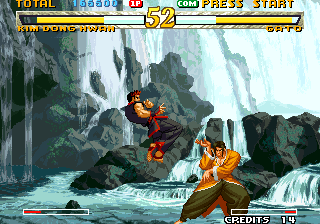 Every single background is meticulously detailed from every angle, providing very impressive depth for a 2D fighting game in 1999-2000. (On that note, you can enjoy looking at each and every background in the game - in their fully-animated glory directly under TFG's review.) Every background is perfectly fitted for each individual character, right along with the catchy background music (not to mention MOTW's memorable opening movie). 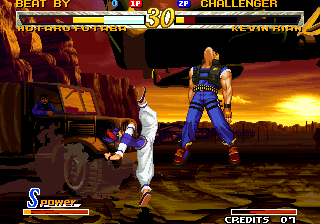 MOTW's characters have a lot in common with Street Fighter III: New Generation's, in the way that they are heavily inspired by classic SNK icons. 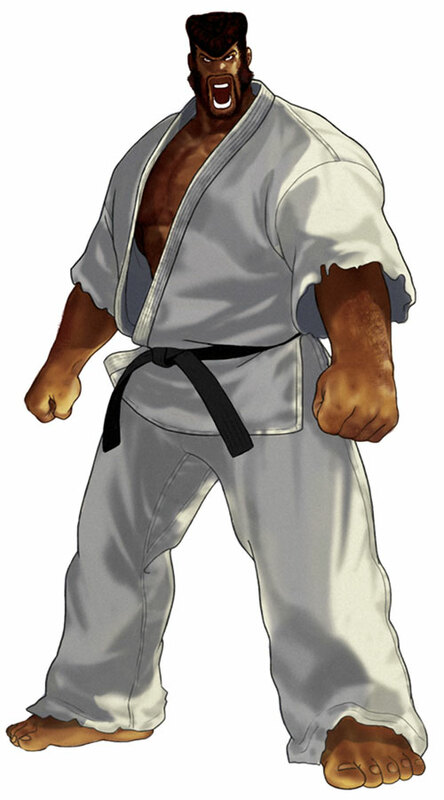 Newcomers like Marco Rodriguez, Dong Hwan and Tizoc, are the "new generation" of SNK fighters who take the place of Ryo Sakazaki, Kim Kap Hwan and Big Bear, respectably. 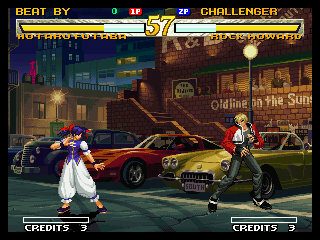 The only returning character is good old Terry Bogard, SNK's original fighting game hero and fighting game icon. Terry has been revamped in Mark of the Wolves, showing off a brand new look and an evolved fighting style with badass new attacks. 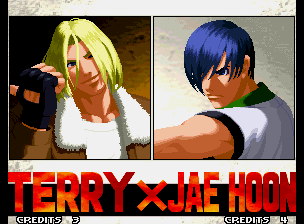 It was actually a pretty gutsy move for 1999 to change up the appearance of such a recognizable fighting game character like Terry, but it paid off in full. Terry loves his train top battles. 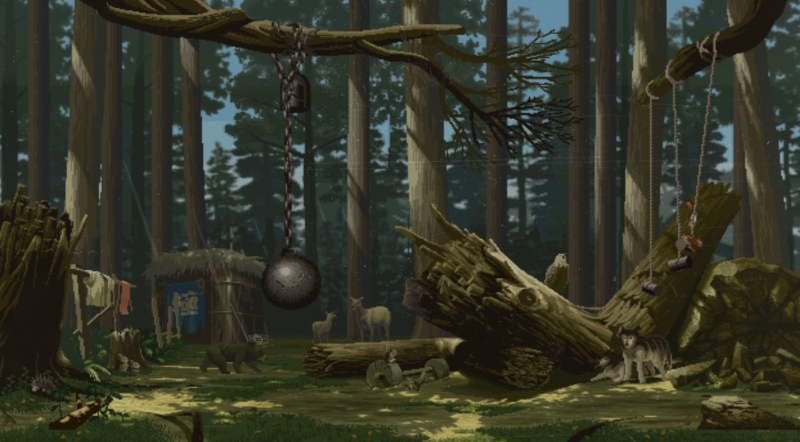 Mark of the Wolves' gameplay is rock-solid, smooth, and offers one of the most fleshed-out systems we've seen from an SNK fighter. Aside from the staple 2D mechanics, MOTW introduces several interesting elements, such as the "Tactical Offense Position" / T.O.P. (a highlighted area of the life gauge - chosen by the player). When the life gauge reaches this area, the character enters T.O.P. mode, giving them the ability to use an exclusive special attack, as well as gradual life recovery & increased attack damage. Where you decide to position your T.O.P. can decide the outcome of battle, making it a surprisingly strategic mechanic unique to MOTW. In addition to T.O.P. mode, Feint Moves, Break Moves, and the Just Defend system add depth and mindgames to MOTW's gameplay. 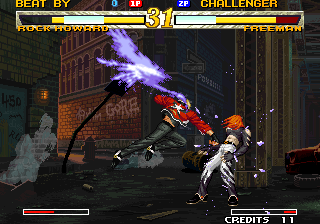 Feint Moves are basically used to "fake out" your opponent by making them think you're throwing a special move, but your character will only perform the start-up animation of the move. 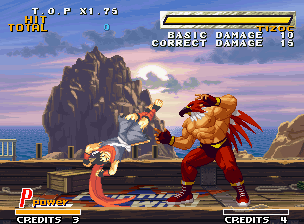 Certain special moves can be turned into "Break Moves" which speed up their recovery. 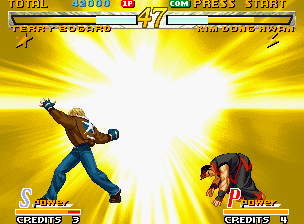 Break Moves not only diminish the possibility of being punished, but they can be used to extend combos. Finally, "Just Defend" is another innovative system, initiated when a player blocks at the last possible moment. Just Defending replenishes a character's life and opens up the chance for a Guard Cancel - basically a quick counter attack. 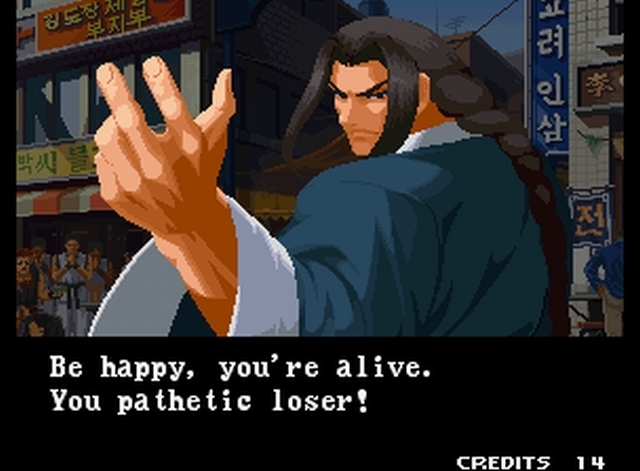 Even though MOTW has a much smaller roster than what fans might be used to in The King of Fighters series, MOTW's characters are clearly "quality over quantity". 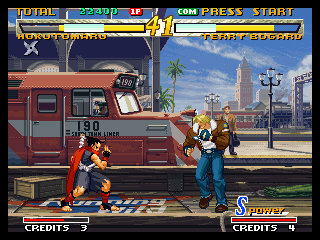 With an impressive variety of normals, alternate normals, specials, and super moves, the characters of Garou: Mark of the Wolves are more well-rounded than many others from other "more popular" 2D fighters. Each character's moveset really makes a statement for their design, and the attack animations are just downright beautiful. Great looking "alternate" normal attacks and variant attacks when fighters are in close proximity further adds visual depth for each character (and these moves are also imperative to mastering a character's combos and setups). Every character even has at least 3 different taunts (including 2 special taunts only available after K.O.) 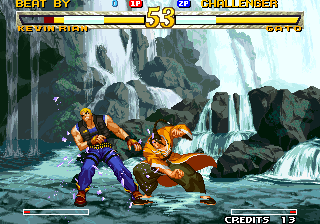 - yet another detail that SNK added to fully flesh out each character. 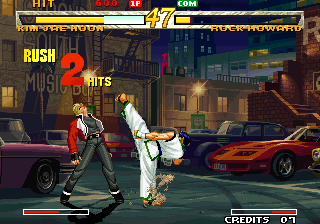 All things considered, MOTW's unique gameplay elements, cool combo possibilities, and hard-hitting super moves allowed the game to stand out in the highly competitive fighting game scene of 1999-2000. 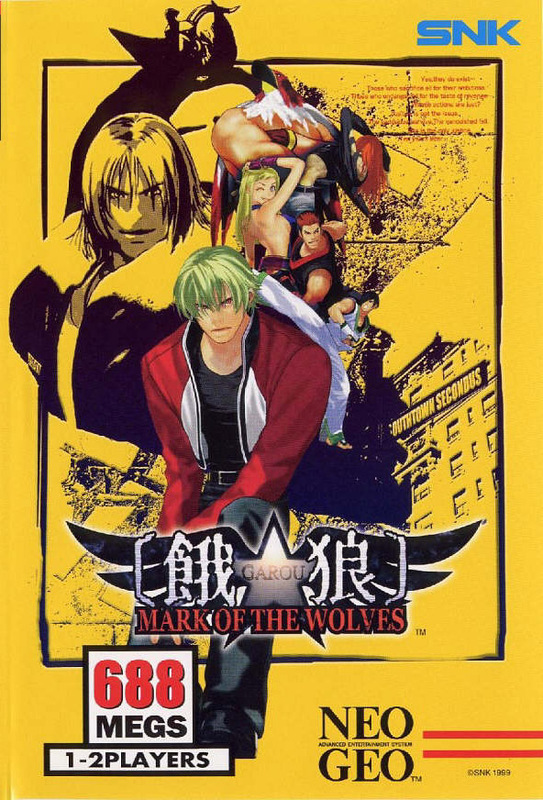 Upon its arrival, Garou: Mark of the Wolves made the statement that "pure 2D fighters" are still alive - and in a big way. 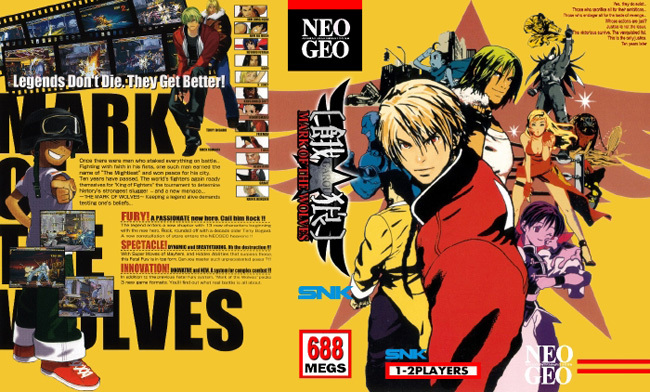 The game's undeniably style and uniqueness made MOTW a fan-favorite SNK title for years to come, leaving many fans begging for a sequel for over a decade later (which sadly never happened). 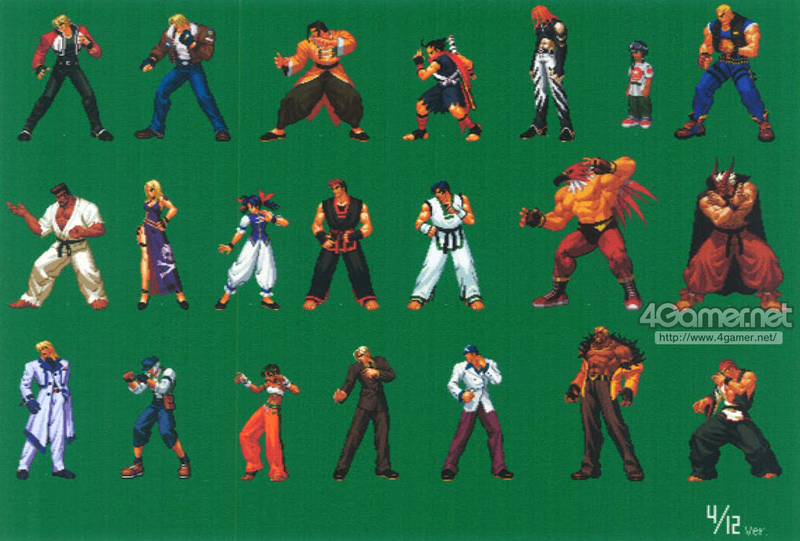 Even considering the absence of many iconic Fatal Fury characters, MOTW's roster stood on its own two feet. 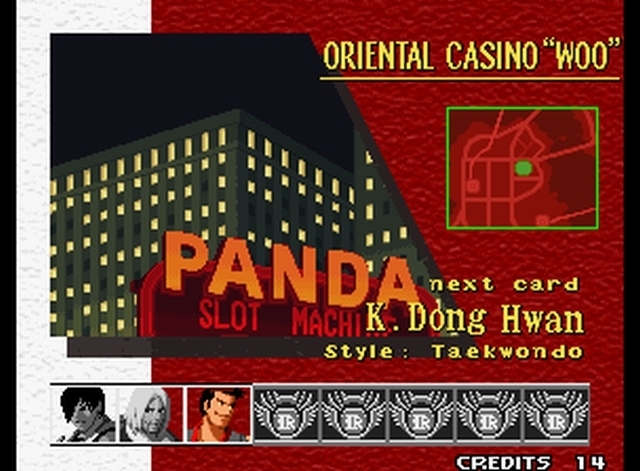 Even though MOTW hasn't had a proper sequel, many of its characters live on as guest characters in other fighting games and have made cameos in storylines, backgrounds, etc. 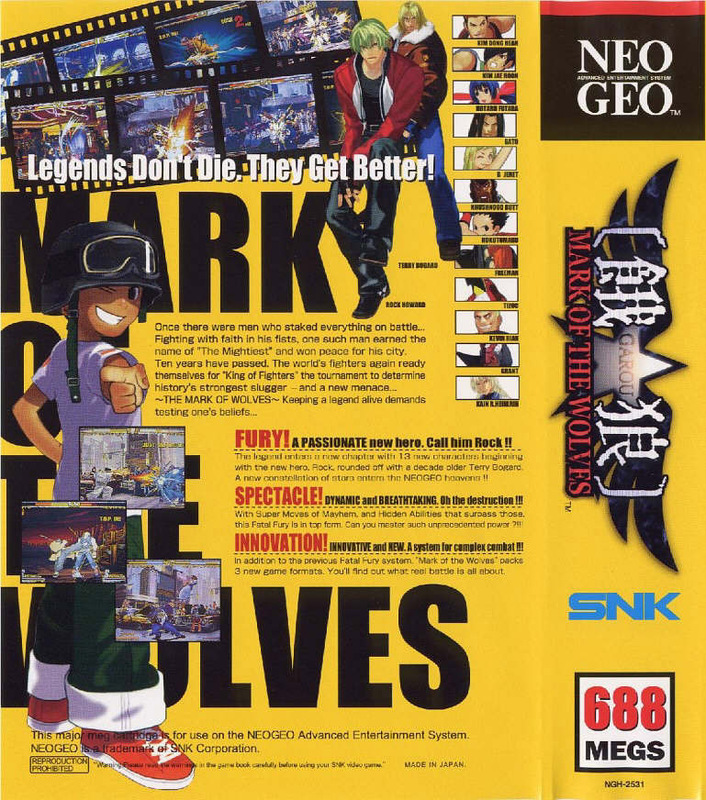 Final Words: Anyone who played Garou: MOTW when it was "new", knew it was something special. 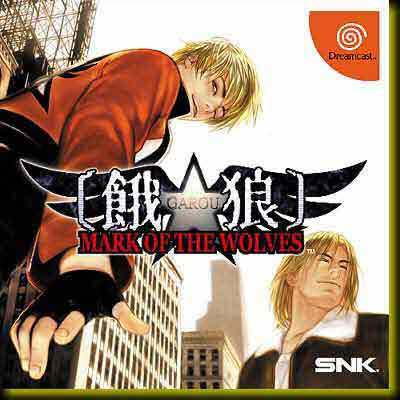 I was glad to see Garou: MOTW only grow in popularity as it aged, because this game deserves the recognition. 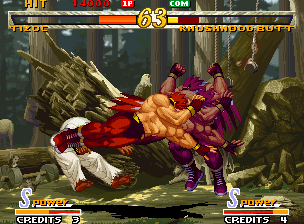 SNK answered Capcom's SFIII in a big way, which wasn't an easy task by any means. 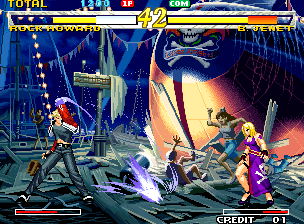 Not only is Garou: MOTW fun and rewarding to play, but the characters, animation, backgrounds, music, and presentation are all very inspiring. 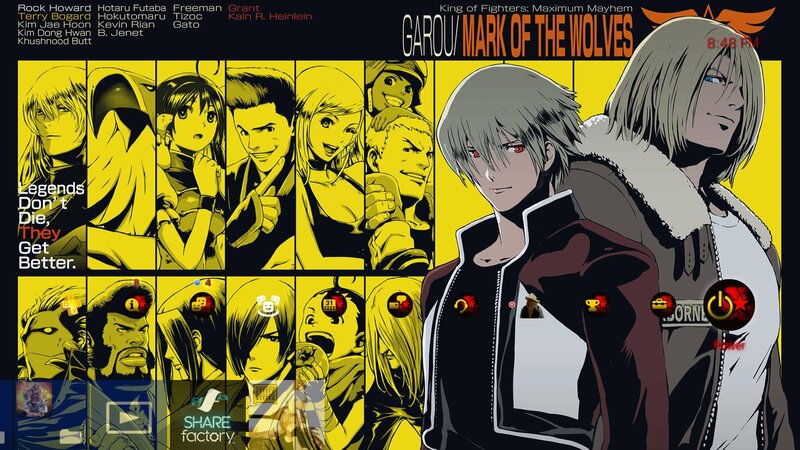 Still to this day, Mark of the Wolves proudly shows off some of the best 2D sprite animations and graphics you'll find in any game.